Passenger plane Airbus A321 of airline “Aeroflot”, flying from Zurich to Moscow, returned to the departure airport. According to the press-Secretary of the airport of Zurich Maurus Stoker, on Board there was a “emergency” situation. In the air port duty fire trucks. The problem could be related to the engine according to eyewitnesses, the left engine of the plane was Smoking during takeoff. 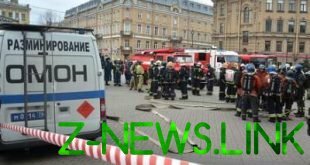 All passengers will be sent to Moscow on an evening flight, said the representative of “Aeroflot”.